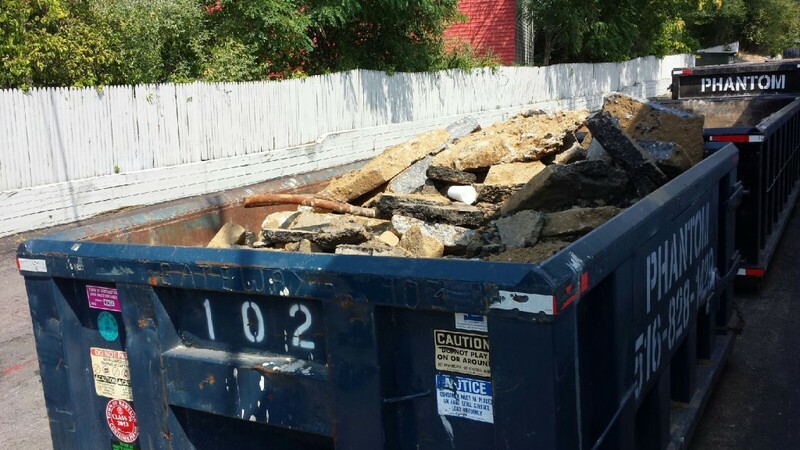 Phantom Dumpsters is fully licensed and insured for your protection. We offer container sizes ranging from 10 to 30 yards. 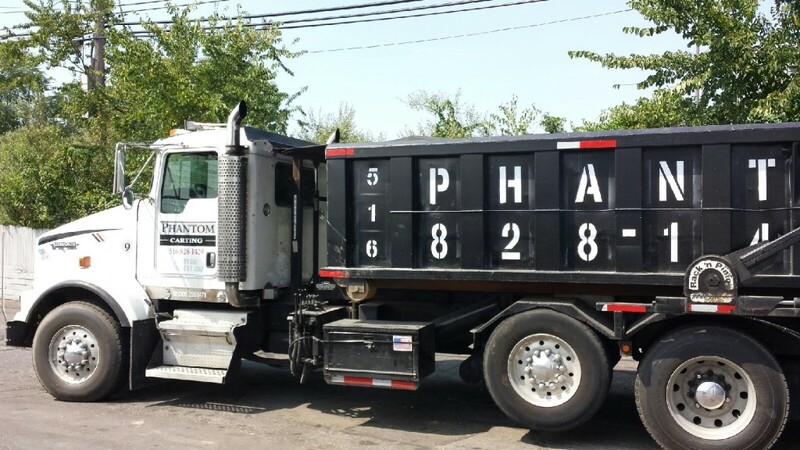 We provide personalized service and affordable dumpster rental for all of Nassau and Suffolk County. Our commitment to service means we do everything we can to ensure your absolute satisfaction. We offer many different services for commercial, residential, or industrial applications. If you’ve got a garage full of junk or an attic full of clutter, then you may be in need of some spring cleaning and serious junk removal. 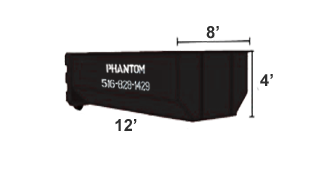 Phantom can provide you with quick & courteous clean out crews to safely remove all your junk and load it into one of our containers. A 10 Yard container is perfect for bathroom remodels or cleanouts. Our 20 Yard containers are perfect for bedrooms and small kitchens. Cleanout and entire house or apartment with a 30 yard container. 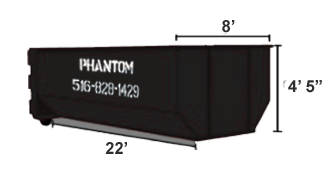 Phantom Dumpsters is fully licensed and insured for your protection. We provide exceptional customers service and deliver walk in dumpsters for our customers convinience. For us, honesty is the only policy and we strive to complete all projects with integrity, not just with our clients,but also our suppliers and contractors. 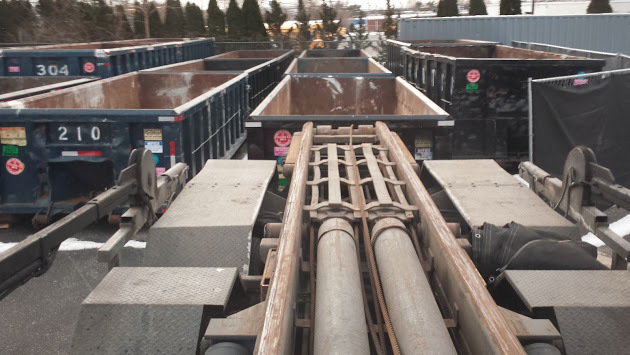 With thousands of successful projects under our belt, we are one of the most trusted dumpster rental companies in Long Island. Our commitment to service means we do everything we can to ensure your absolute satisfaction. We offer many different services for commercial, residential, or industrial applications. All our work is done clean, neat, and quick so you can continue your project as soon as we’re done. We take pride in all our work and especially in our SAME DAY SERVICE. We make sure everything is done on time and we do it quicker than the competition. 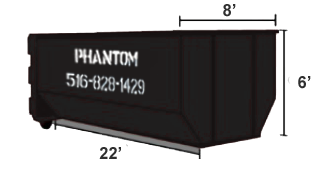 Powered by Phantom Enterprises Inc.
© 2016 Phantom Dumpsters. All rights reserved.